The 2-way bass reflex configuration of the Shadow 203 shelf speaker also features the 170 mm FE Dynamics bass-midrange driver and the newly developed 30 mm fmax tweeter that is used by the Shadow floorstanding speakers. The powerful foundation is optimally supported by the tweeter with its wide surround, dispersion-optimised sound guide and powerful ferrite drive for excellent dynamics. 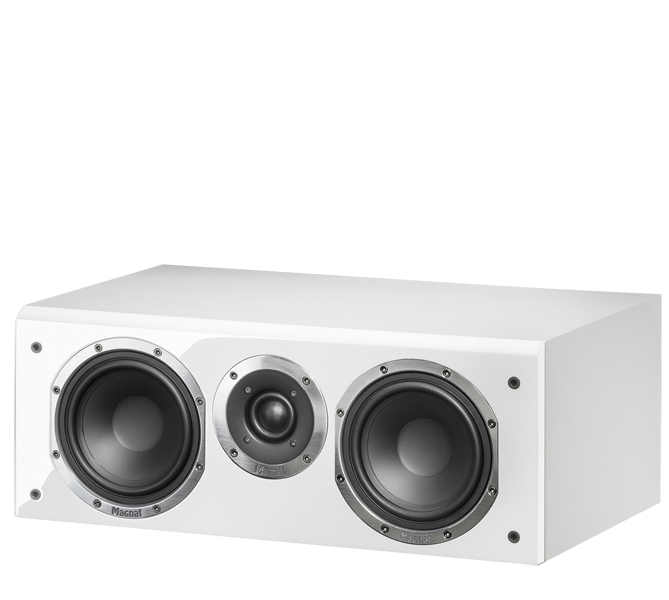 The Klippel-optimised construction ensures an excellent compromise between sound performance and efficiency. This enables the Shadow 203 to produce an outstanding sound quality, even when used with smaller amplifiers. Thanks to its extremely compact dimensions, and of course the two different finishes available, the Shadow 203 can also be integrated perfectly into your living room. The Shadow Center 213 follows in the footsteps of the successful Vector Center speaker. Two 130 mm FE-Dynamics bass-midrange drivers help create a powerful and voluminous sound experience in this setup. The upper frequency ranges are catered for by the newly developed 30 mm fmax tweeter in the Shadow series, which is equipped with an extra wide surround, a front panel with dispersion-optimised sound guide and a powerful ferrite drive for superior dynamics. The Klippel-optimised construction ensures an excellent compromise between sound performance and efficiency. This enables the Shadow Center 213 to achieve its full acoustic potential, even when used with smaller amplifiers. The central speaker in the Shadow surround system is available in two different colours and comes complete with a high gloss baffle and removable fabric grille. The Shadow 205 2.5-way bass reflex sound transducer is the smallest floorstanding speaker in the Shadow series. Its acoustic performance is no less impressive, however, thanks to its 170 mm FE-Dynamics bass-midrange driver and the newly developed 30 mm fmax tweeter with its wide surround and powerful ferrite drive. The Klippel-optimised construction, which ensures the perfect combination of sound quality and efficiency, means the speaker is also ideally suited for use with smaller amplifiers. The Shadow 205 is available in two different colours, which ensures you won´t have any problems integrating it into your living room. Detaching the removable fabric grille reveals the high gloss baffle, the speaker baskets and the tweeter flange in a high quality metal finish. As the top model in the Shadow series, the Shadow 209 caters for an extremely powerful and emphatic sound with three 170 mm woofers. Outstanding dynamics and a particularly pleasant, authentic sound are generated thanks to the Klippel-optimised construction of the FE-Dynamics bass and midrange drivers, as well as the newly developed 30 mm fmax tweeter with its wide surround and powerful ferrite drive. The amplitude and phase-optimised crossover with its selected, high quality components guarantees maximum precision in processing the various signals. Available in two different colours with a high gloss baffle, the Shadow floorstanding speaker is suitable for any living environment. The sturdy housing, which has been constructed from E1 MDF wood to ensure low resonance properties, is also equipped with a special airflex port to reduce flow noise. Price/performance champions with exclusive components and innovative technologyThe new Shadow speaker series has not only been developed using state of the art measurement and simulation equipment, but it also features innovative and exclusive components. A perfect balance between efficiency and an authentic sound performance makes the Shadow series stand out from the crowd in its highly competitive price/performance category. High-performance FE-Dynamics drivers are used to reproduce the bass and midrange in the Shadow speakers. 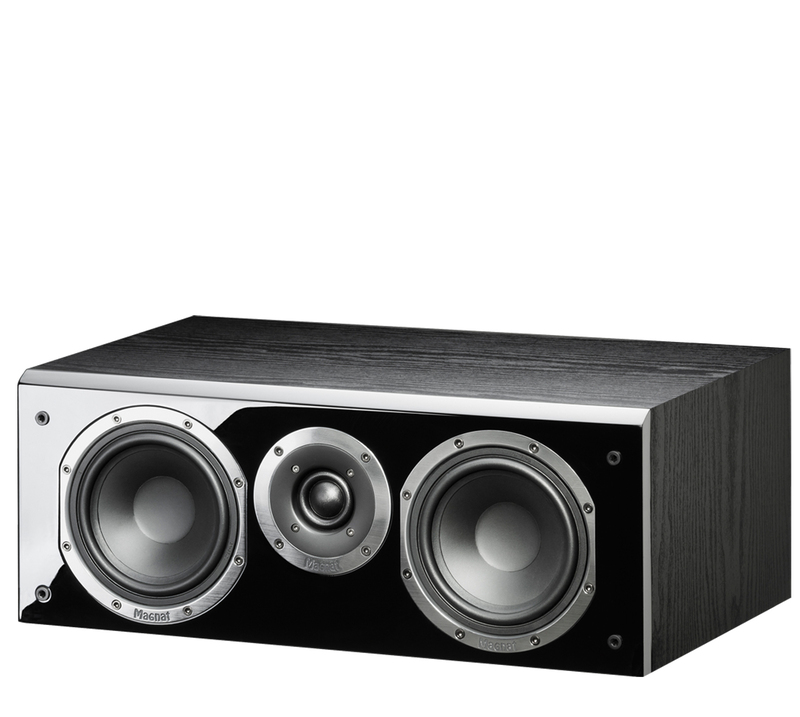 The majority of speakers in the series feature two of these drivers, with three being used in the flagship model. Lightweight, specially coated paper cones and non-magnetic, fibre-reinforced ABS cast baskets are utilised to ensure maximum throw and load handling capacity. The ventilated voice coil unit guarantees optimum temperature management in this setup. The construction has been Klippel-optimised to ensure a perfect balance between efficiency and sound performance. This enables the components in the Shadow series to achieve their full acoustic potential with smaller, less expensive amplifiers. The newly developed fmax tweeter is responsible for the transparent, brilliant and, at the same time, pleasant treble range. With its wide surround, a powerful ferrite drive and a front panel with dispersion-optimised sound guide and effective prevention of edge reflections, outstanding dynamics are inevitable. 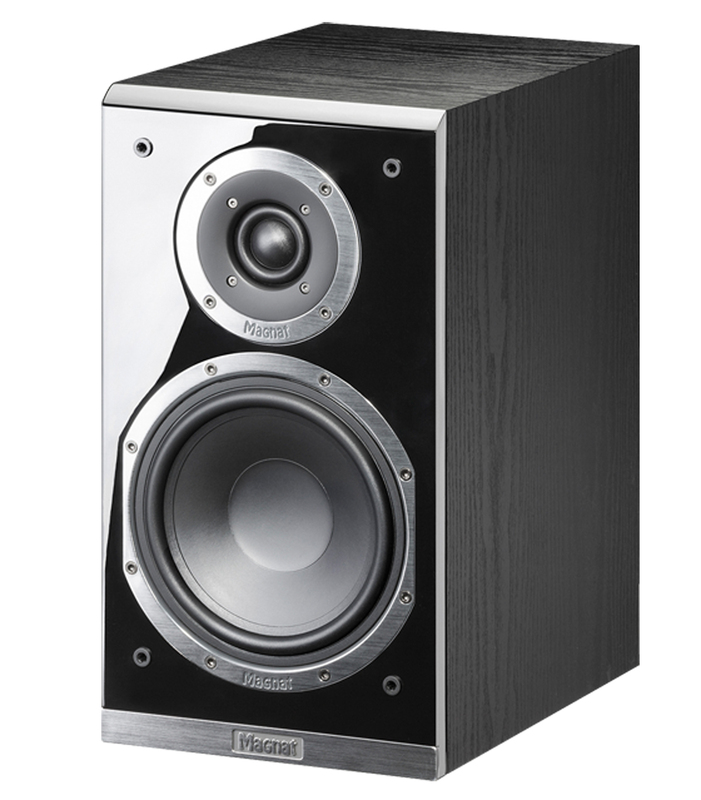 The frequency range of the new fmax tweeter extends far beyond the usual 20 kHz. E1 MDF wooden panels have been used to create a sturdy and low-resonance housing construction, which almost completely eliminates “standing waves”. In addition, resonance-absorbing rubber feet and metal spikes are also supplied to ensure perfect installation in any living room. All of the speakers in the Shadow series are designed as bass reflex speakers. The overall technical configuration is based on various signal analyses and not just on one frequency or a certain level. This results in absolutely clean bass pulses irrespective of the music genre or the volume level. Magnat´s airflex ports are exclusively used to ensure the prevention of flow noise. These bass reflex tubes with their rounded openings ensure optimum reduction of unwanted background noise. The visual impression of the sound transducers in the new Shadow series is as exquisite as the acoustic performance. All of the components are available in two colours and feature a high gloss lacquered baffle. Behind the rugged and removable fabric grille are the speaker baskets and the tweeter flange in a high quality metal finish.